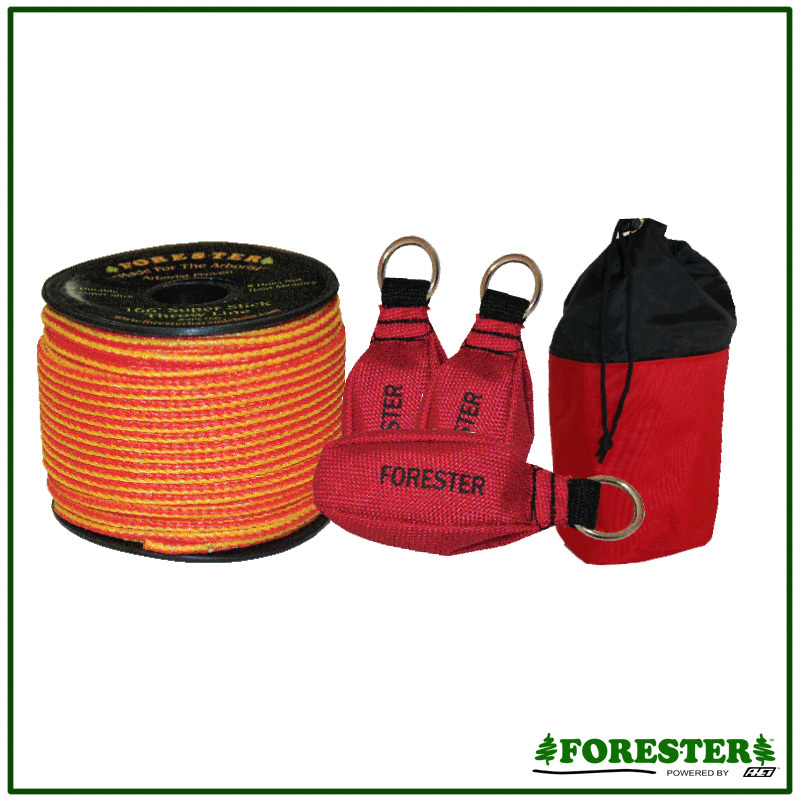 This kit includes 166' of our super slick throw line and 3 Forester 14 oz. weighted throw bags. The bags have a 1" nickle ring. One rope bag with a pull rope closure. Buying the kit is cheaper than piecing it together. Thank You for shoping Forester Chainsaw Parts. 14 OZ throw bags are aerodynamic and red in color for Hi-Vis . 1" nickel plated ring for attachment.